(CHAMBRAY ). STUDIO G DESIGNS BY CLARKE & CLARKE - DESIGN 'PARTY STRIPE'. 54" WIDE(137cm)/100% COTTON, WASHABLE AT 40 degrees. 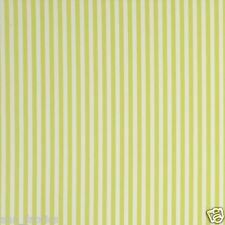 CLARKE-CLARKE - DESIGN LULU STRIPE. (PICTURE SHOWS SAGE GREEN). 54" WIDE/100% COTTON, WASHABLE AT 40 degrees. Subtle colours that tone in with the design Flora and Dotty, mix and match. STUDIO G DESIGNS BY CLARKE & CLARKE - DESIGN 'PARTY STRIPE'. 54" WIDE(137cm)/100% COTTON, WASHABLE AT 40 degrees. For a quantity of. CLARKE & CLARKE - DESIGN 'DECKCHAIR STRIPE'. 54" WIDE/100% COTTON, WASHABLE AT 40 degrees. (PICTURE SHOWS BLUE). TUDIO G DESIGNS BY CLARKE & CLARKE - DESIGN 'PARTY STRIPE'. 54" WIDE(137cm)/100% COTTON, WASHABLE AT 40 degrees. CLARKE & CLARKE - DESIGN 'DECKCHAIR STRIPE'. (PICTURE SHOWS POWDER BLUE). 54" WIDE/100% COTTON, WASHABLE AT 40 degrees. CLARKE & CLARKE - DESIGN 'DECKCHAIR STRIPE'. (PICTURE SHOWS TAUPE). 54" WIDE/100% COTTON, WASHABLE AT 40 degrees. CLARKE & CLARKE - DESIGN SAIL STRIPE. (COLOURWAY SHOWS MARINE). 54" WIDE(137cm)/100% COTTON, WASHABLE AT 40 degrees. CLARKE & CLARKE - DESIGN SAIL STRIPE'. (COLOURWAY SHOWS MINERAL). 54" WIDE(137cm)/100% COTTON, WASHABLE AT 40 degrees. CLARKE & CLARKE - DESIGN 'BELLE. (PICTURE SHOWS RASPBERRY). 54" WIDE(137cm)/100% COTTON, WASHABLE AT 40 degrees. NEW FROM THE 'GENEVIEVE' COLLECTION. See more of our Ella Blue fabric here… Ella Blue. Ella Blue fabric from the Hearts and Happy Flowers Collection, comprising of mini hearts and stripes on a pink background.Sold by the Fat Quarter. ♥ Suggestions for use – quilting, crafting and dressmaking. Anne of Green Gables fabric. This gorgeous fabric features a printed pink ticking stripe on an ivory background. Sold by the Fat Quarter. Anne of Green Gables. ♥ Suggestions for use – quilting, crafting and dressmaking. See more of our Ella Blue fabric here… Ella Blue. Ella Blue fabric from the Hearts and Happy Flowers Collection, comprising of pink mini hearts and stripes on a red background.Sold by the Fat Quarter. Zen Chic Designs for MODA Fabrics from the For You collection. This gorgeous fabric comprises of a lined retro modern design on a pink background. Sold by the Fat Quarter. ♥ Suggestions for use – quilting, crafting and dressmaking. Hand Block Printed Fabric, Indian Hand Printed Cotton Fabric, Sanganeri Hand Block Printed Cotton Fabric, Jaipur Hand Printed Cotton Fabric, Wooden Hand Block Printed Cotton Fabric, Indian Anokhi Designer Cotton Fabric, Floral Printed Cotton Fabric, Cambric Cotton Fabric, Indian Printed Cotton Fabric, white Bleached cotton Fabric, Printed Cotton Fabric. It is carved onto the block by hand. The carved block is dipped into the required color. Cotton Thread count : 60 x 60. Fabric : Light Weight. Different blocks for different colors are used. Cotton Thread count : 60 x 60. It is carved onto the block by hand. The carved block is dipped into the required color. Fabric : Light Weight. Cotton Thread count : 60 x 60. Item - Indian Cotton Indigo Blue Dyed Fabric. It is a Hand Tie Dye Cotton Fabric that has a luxuriously rich feeling. Colors - Natural Vegetable Dye. Pattern - Hnad Block Print. Fabric - 100% Cotton. Different blocks for different colors are used. Cotton Thread count : 60 x 60. Fabric : Light Weight. Different blocks for different colors are used. Fabric : Light Weight. Cotton Thread count : 60 x 60.